The Core resources can be found here. Becoming Human, fantastic interactive documentary resources from the Institute of Human Origins. 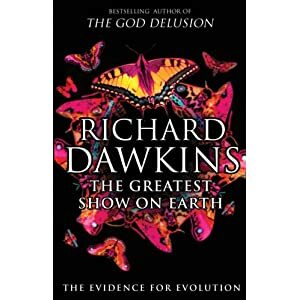 Dawkin’ Greatest Show on Earth: The Evidence for Evolution is a well-written and logical presentation of the evidence for evolution, and we have a copy in the library. Otherwise, get on Amazon and buy your own. There is a very funny review of the book here: John Crace’s digested read podcast. Summarise each chapter in a series of slides or mind maps, with visual sources.